Citation Information: J Clin Invest. 2004;113(4):496-504. https://doi.org/10.1172/JCI21052. Human African trypanosomiasis (HAT), also known as sleeping sickness, is a major cause of mortality and morbidity in sub-Saharan Africa. Current therapy with melarsoprol for CNS HAT has unacceptable side-effects with an overall mortality of 5%. This review discusses the issues of diagnosis and staging of CNS disease, its neuropathogenesis, and the possibility of new therapies for treating late-stage disease. 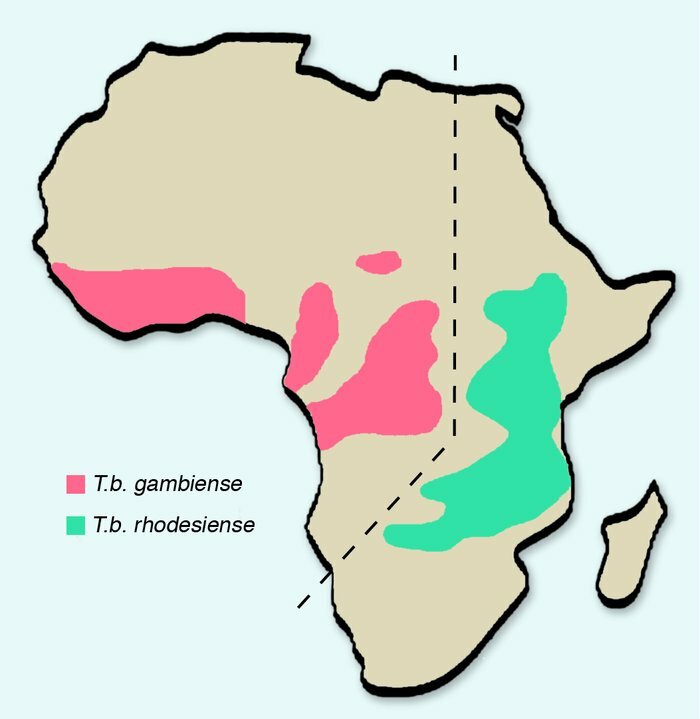 Diagrammatic representation of the distribution of the two types of human African trypanosomiasis in Africa. Figure modified with permission from Butterworth-Heinemann (5).